tertiary physical-chemical treatment if necessary for residual colloidal COD reduction. We should also note that stripping can also use free ammonium to blowdown the gas scrubbing water closed system. 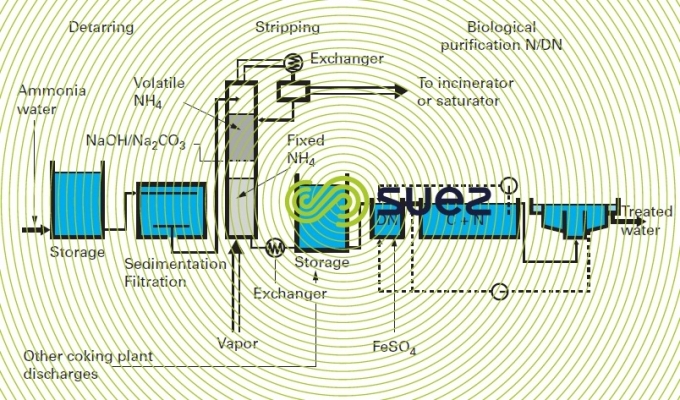 Figure 55 shows a typical ammonia liquor wastewater treatment system, including a thorough nitrogen treatment. the various finishing units (galvanising, electro-zinc-plating, tinning, organic linings). The main pollutants encountered are pickling acids, dissolved metals, lubrication and rolling oils, and highly alkaline specific degreasing baths. This effluent must be segregated at source so that specific pre-treatment can be applied whenever necessary. final sedimentation after flocculation will result in optimum effluent clarification before discharged. reverse osmosis to remove most of the salinity and residual COD, allowing the effluent to be recycled through the plant’s ion exchangers or any other clean water application. 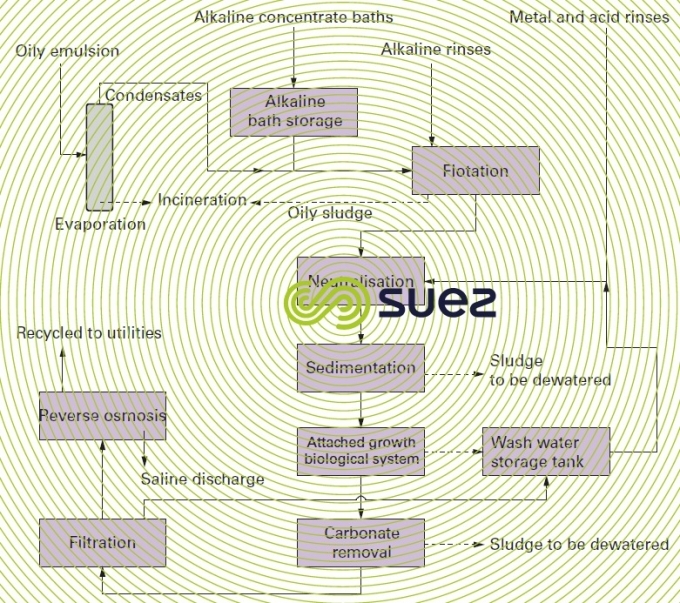 Figure 56 illustrates a general wastewater treatment design for a complete cold rolling unit. This approach conserves a substantial volume of water, total consumption being reduced to approximately 0.5 m3·t–1 compared to 1.6 m3·t–1 if the neutralisation/sedimentation phase is omitted. 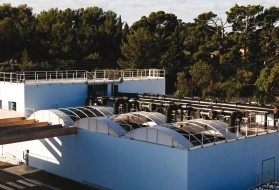 This system allows the sole discharge of the brine produced by reverse osmosis (high salinity but relatively little other contamination) and sludge produced during the various treatment stages. Some of this sludge can be incinerated.